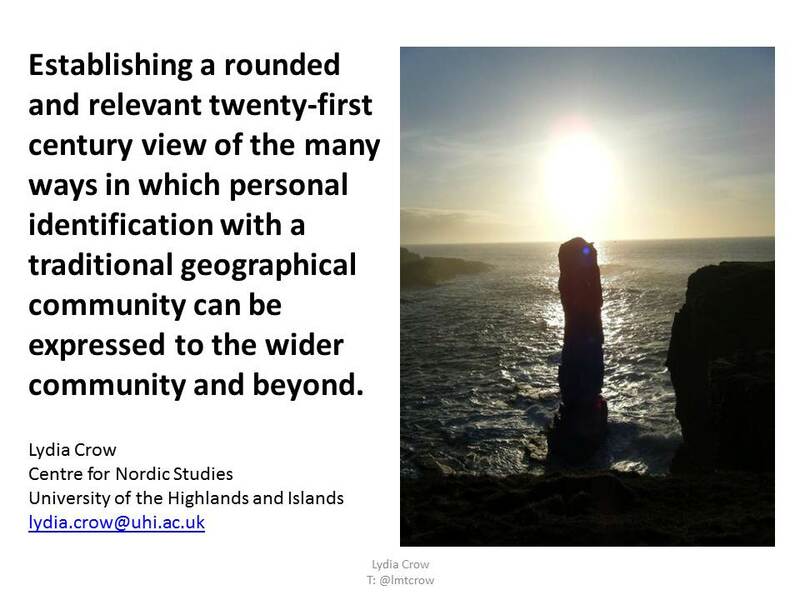 The Nordic Research Network Conference 2015 (#NRN2015) was, without doubt, the most well-organised conference I have ever attended. 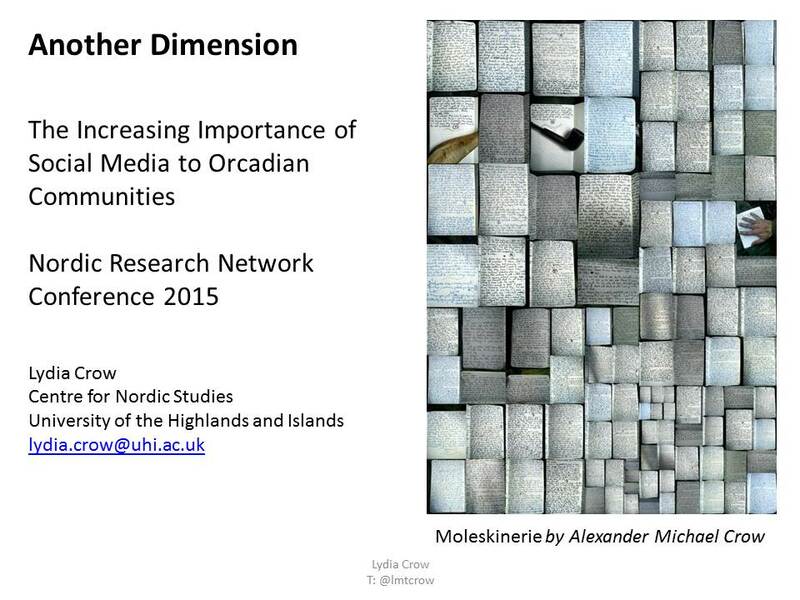 I had the pleasure of presenting a paper on the increasing importance of social media to Orcadian communities. A Storify summary of the Conference is available online here. 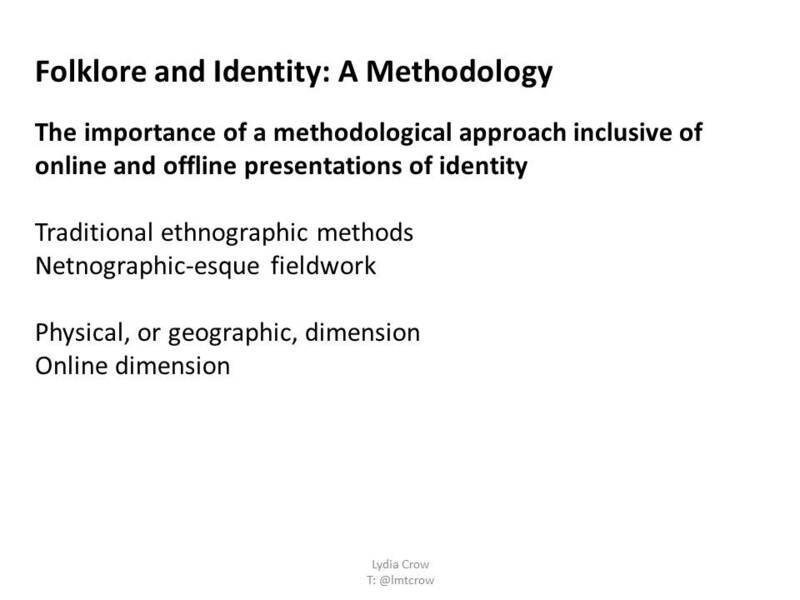 Image: Moleskinerie by Alexander Michael Crow (Slide #1). 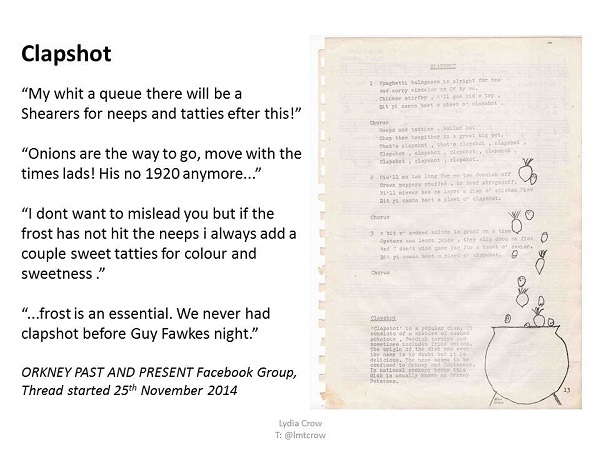 For further information relating to ‘netnography’, refer to the work of Robert V. Kozinets (Slide #3). 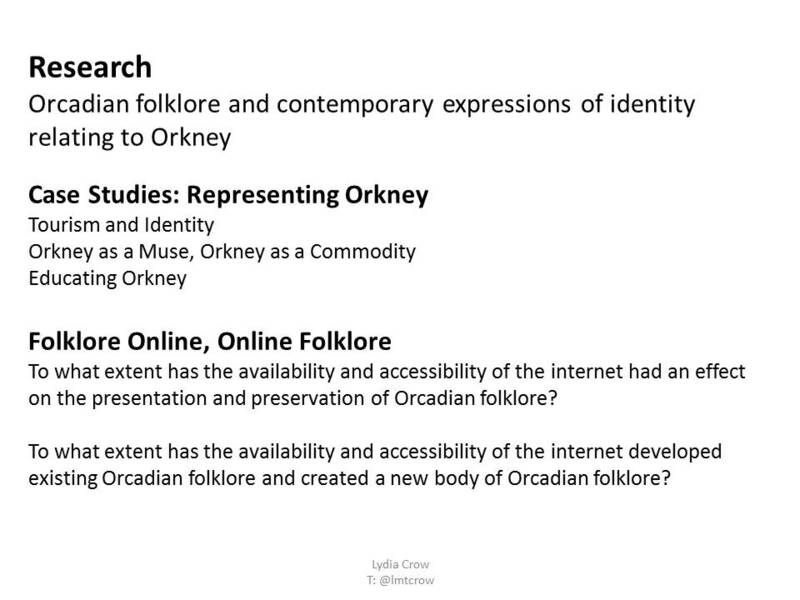 For further information relating to ‘digital socialities’, refer to the article ‘Social Media Ethnography: The Digital Researcher in a Messy Web’ by John Postill and Sarah Pink (Slide #3). 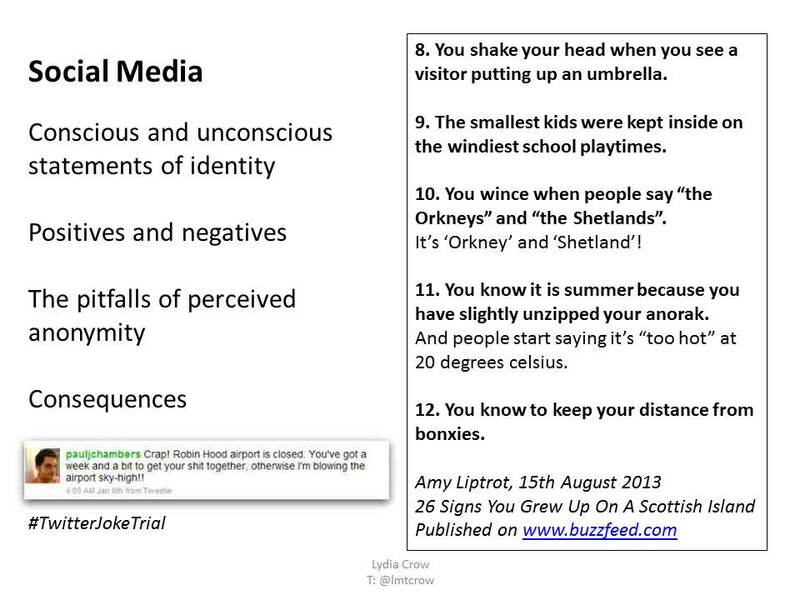 The Buzzfeed article is available online here (Slide #4). Information relating to the #TwitterJokeTrial can easily be found via a search engine. Screencap originally from the Twitter account of Paul Chambers (thereafter quoted in several blogs and online newspapers) (Slide #4). Image: Scanned page of a Stenness Peedie Folk printed songbook by Gregor Lamb and Thora Linklater, illustrated by pupils of Stenness Primary School (Slide #5). The Clapshot Facebook conversation is available online here (Slide #5). 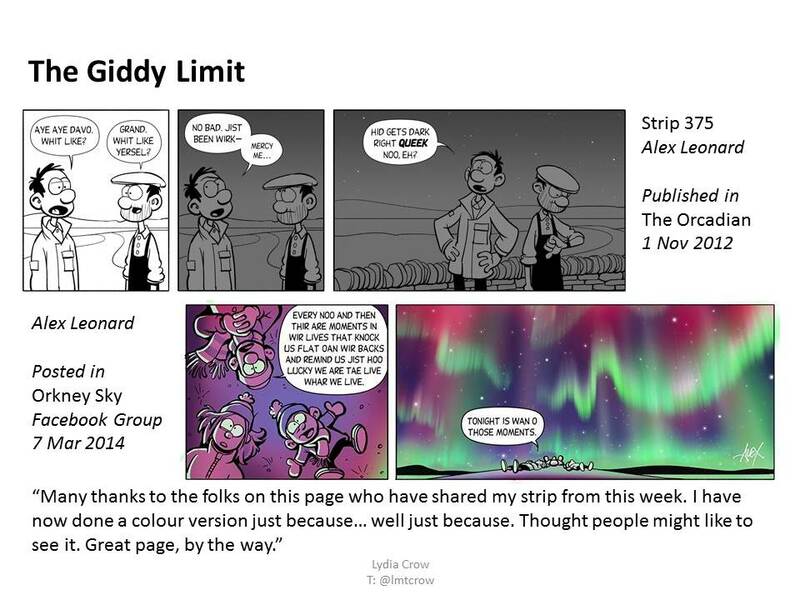 The Giddy Limit Strip 375 is available online here (Slide #6). The Giddy Limit Merry Dancers Strip and Facebook conversation is available online here (Slide #6). Information relating to #EdBallsDay can easily be found via a search engine. 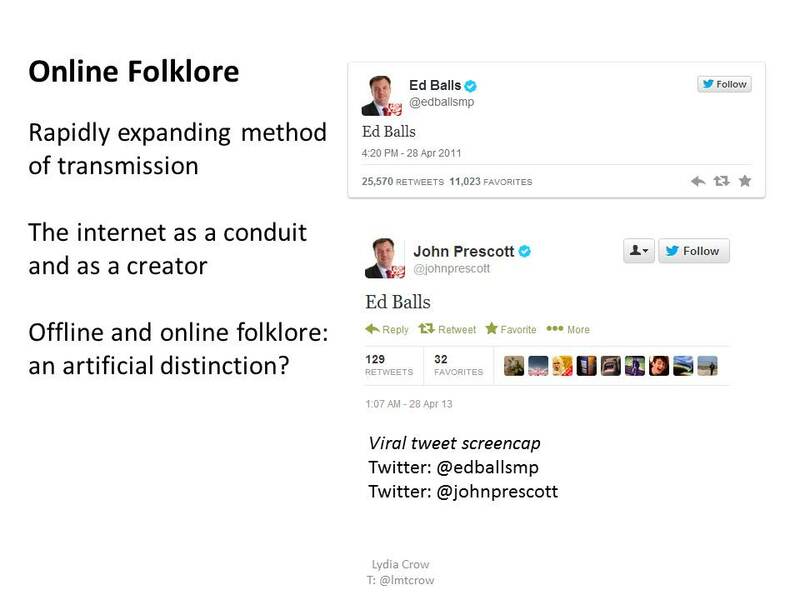 Screencaps originally from the Twitter accounts of Ed Balls and John Prescott (thereafter quoted in several blogs and online newspapers) (Slide #7). 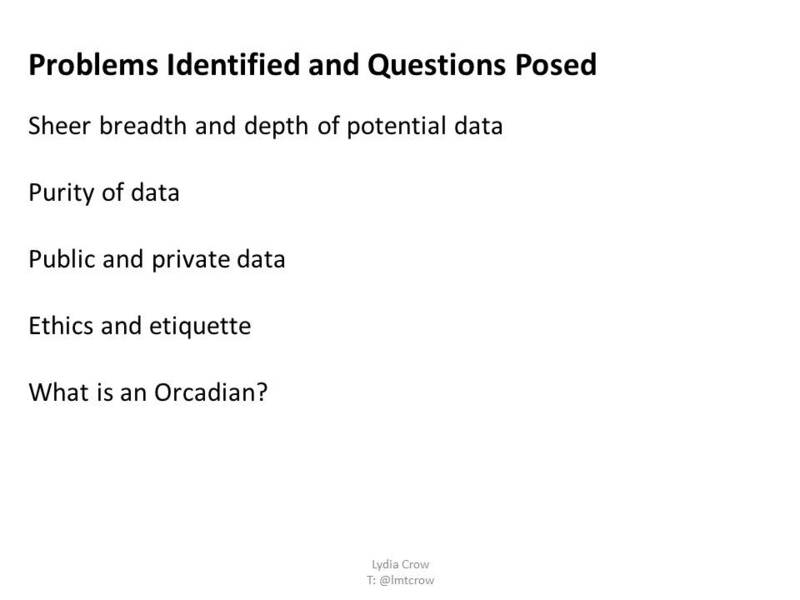 The Association of Internet Researchers ethics guidance is available online here (Slide #8). Image: Photograph of The Old Man of Hoy by Judith Crow (Slide #9). For further information relating to sources, including full academic citations, please get in touch.